CELEBRATING YOUR PREGNANCY, YOUR BABY, YOUR LIFESTYLE. Whether you’re a first-time mum-to-be or expecting your third baby, every pregnancy is different, and your first priority is to make sure you’re up-to-date on the latest and safest news, advice, and information for a happy and healthy pregnancy and newborn. 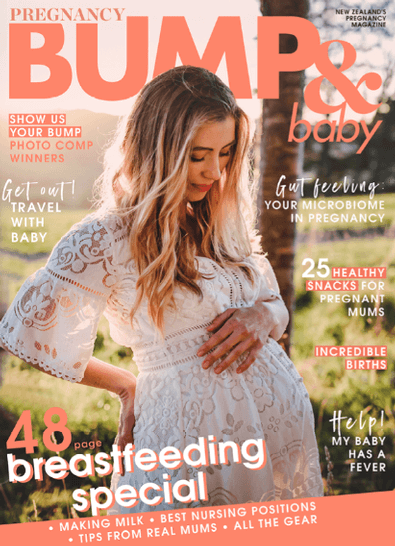 BUMP & Baby is New Zealand’s only magazine for pregnancy and early babyhood. BUMP & Baby celebrates expectant mothers at every stage of pregnancy and new motherhood, with articles, product recommendations, relevant news, and expert advice to support you through conception, gestation, and early babyhood. 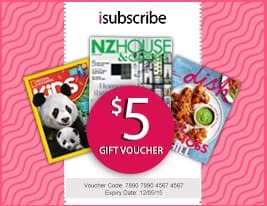 Pregnancy and your baby’s first six months are a time of immense change and growth, and no other New Zealand publication focuses on your pregnancy in such depth and detail. BUMP & Baby is a mum-to-be’s best friend, supportive coach, and wise mentor all rolled into one. Be the first person to tell us what you think about Pregnancy BUMP & Baby and you'll save $5 on your next purchase!